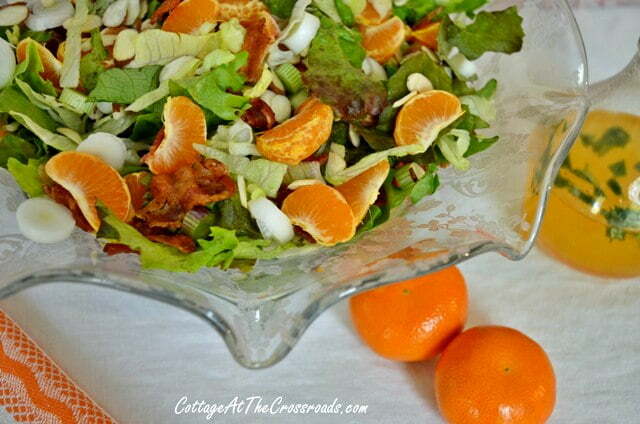 I have a delicious mandarin orange salad recipe for you today, and it’s so good that Leo has already asked me to make it again! This recipe is an old one that I used to make a lot, but I had forgotten about it until I was looking for my lemon cheesecake recipe. When I ran across it in my old recipe book, I knew that I’d be making it soon and sharing it with you guys because it’s that good! Even though this salad would be good anytime of the year, it’s especially wonderful right now because spring onions and fresh lettuces are available. We just happen to have some growing in our raised beds. 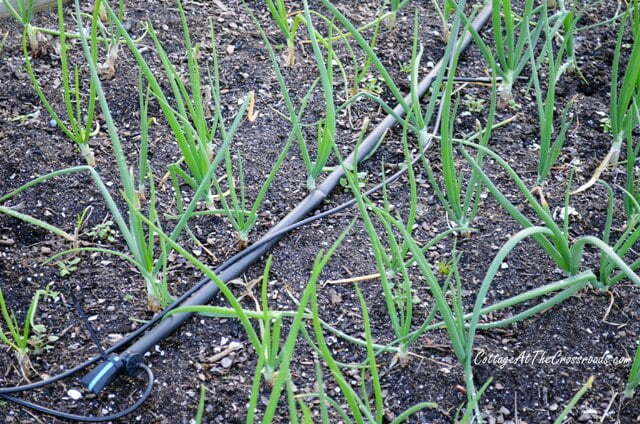 These are spring onions that we planted about 6 weeks ago. 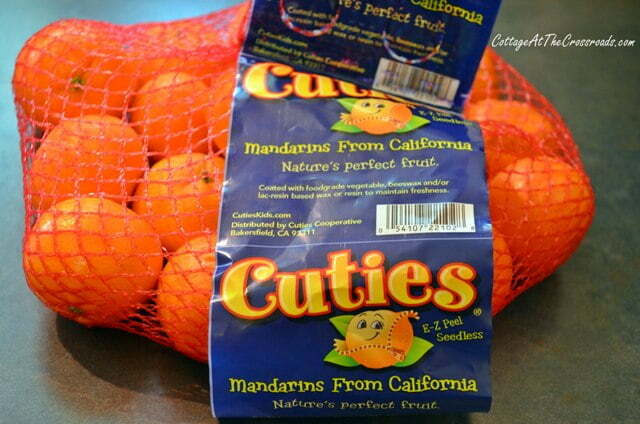 I used fresh mandarin oranges in my salad today because these “Cuties” are so readily available right now. 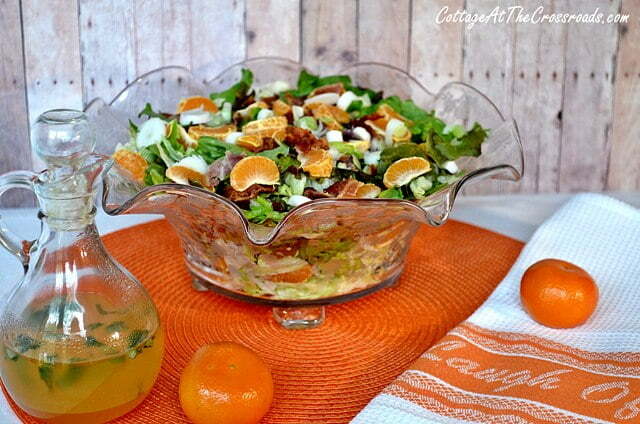 But I’ve also made this salad with canned mandarin oranges. 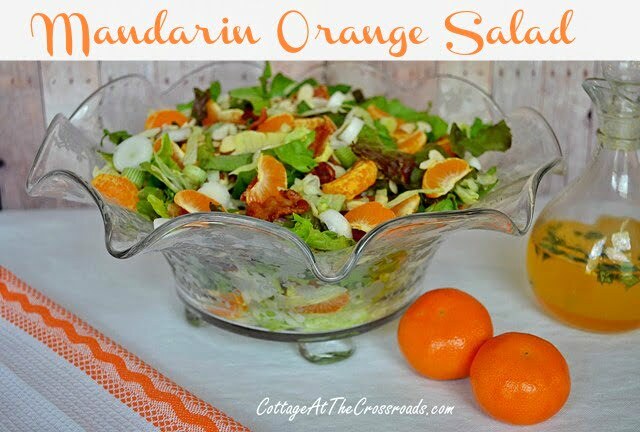 To make the salad you will need: iceberg lettuce and another variety of lettuce such as romaine or red lettuce, 2-3 sliced green onions, peeled and segmented mandarin oranges, 1/4 cup sliced almonds and 1/2 cup bacon bits. Now, I’ll go ahead and fess up. I added more bacon than 1/2 cup! I fried about 10 strips and crumbled it! Perhaps that’s why Leo asked for this salad again! After I fried my bacon, I peeled those “Cuties.” They are so good that I had to eat a few while I was making the salad. 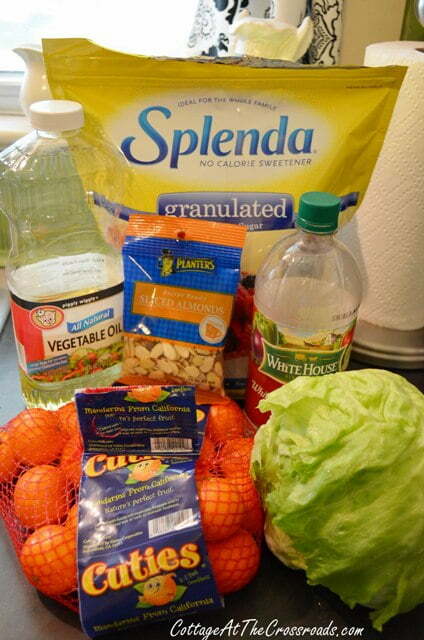 To make the dressing, just combine all the ingredients. Don’t leave out the hot sauce or the fresh basil because those 2 ingredients make the dressing SING! You know what I mean! 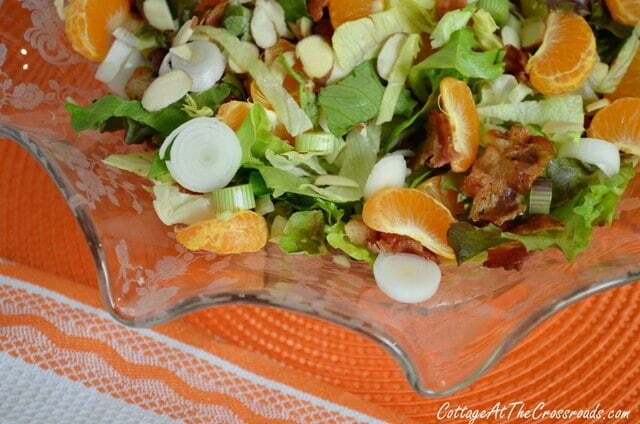 Assemble your salad and wait until just before serving to dress it. What a flavorful combination of ingredients! Besides, do you know anyone who doesn’t like bacon? I think I could eat this salad everyday! Trust me on this one……you’ll love it too! « Eco Natural Soap Giveaway! The Rhodes dinner rolls are a necessary product in the freezer, always. You had me at bacon – looks amazing! That looks absolutely wonderful! So fresh and yummy for spring and summer. Now that looks delicious! It turned chilly here today, but by next week it will be back to the high 80s, so I think I’ll be adding this to our dinner menu for next week! I give it the YUMPTIOUS stamp of approval! Jane, I can’t wait to make this salad for my family. 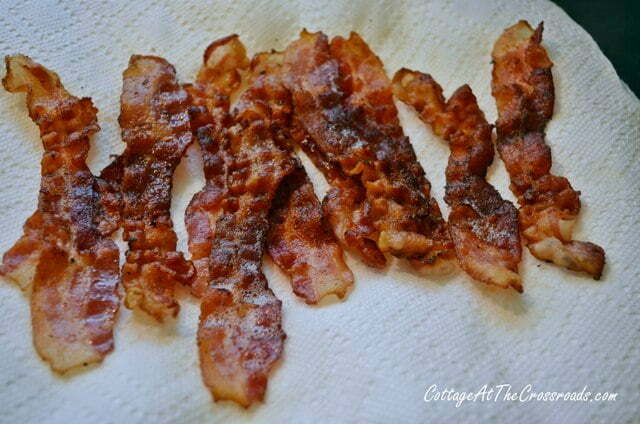 We enjoy fresh tasting fruit salads but the crispy bacon in your recipe sealed the deal for me. The photo looks like a cookbook shot, very nice! One of the prettiest salads I’ve ever seen. So fresh and colorful, perfect for spring. My husband will love it. This looks delicious, my Grandma made something similar to this and I haven’t thought about it in years… it was marvelous. Thanks for posting this, we are definitely going to be making it soon. I also loved the tips on tomatoes, we have one more frost scheduled for this week and then out they come. Lordy,Lordy! This looks awesome. I am certainly going to try this. I am pinning it so I will be able to quickly find it. Love that pinning thingie. Beautiful salad Jane! The dressing sounds delicious and I’ve never met a salad I didn’t like with bacon 🙂 I’ve never tried to grow lettuce, it’s probably to late to try to plant some in a pot this spring since with the warm temperatures but I need to remember for next year! 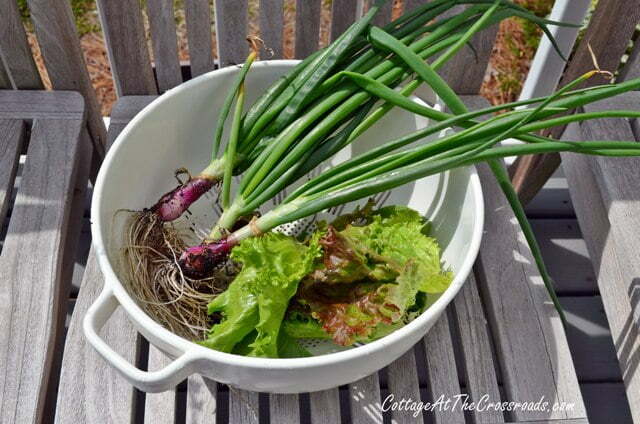 Jane…such a great refreshing Spring salad…and the fact that you can just pluck some of the ingredients from your garden is just so wonderful…talk about fresh!…I too could eat this everyday!! Have a wonderful weekend you two!! 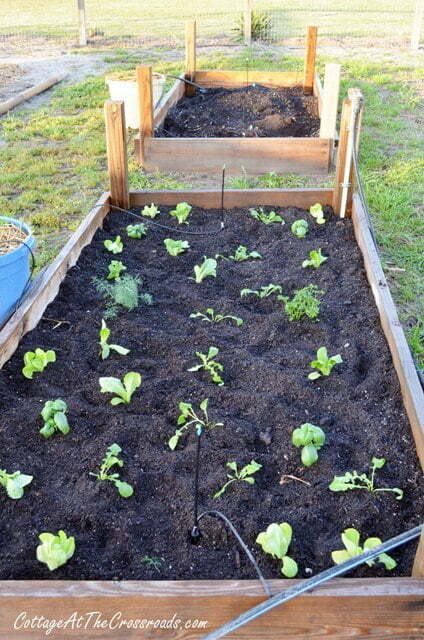 Jane, Have Y’all posted on how to grow lettuce.? I have tried unsuccessfully a few times. Lettuce is something we eat on a daily basis and I would love to know how to grow it. This is one of my favorite salads ever, Jane! I didn’t have a recipe and thought it was more complicated than it is – so thanks for sharing. This sounds really good. I will have to try it soon! Jane, now you have me wanting some of your yummy looking salad:) I am so envious of all the things you have growing in your garden. They look so green and beautiful. Mmmmm. This looks delish. 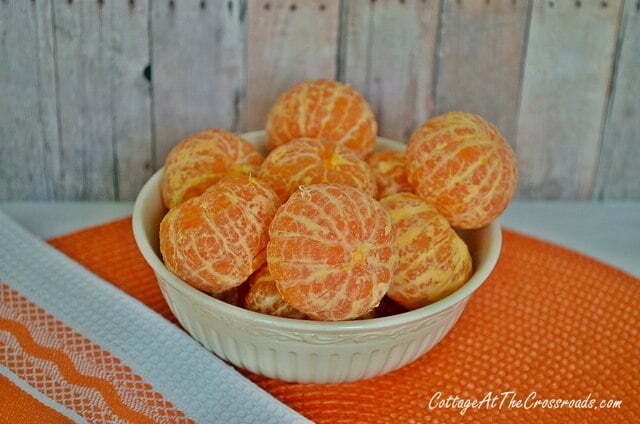 Love the combo of the sweet oranges and the salty bacon. Definitely pinning this for later. 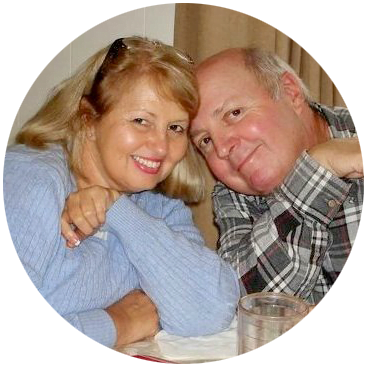 I am dreadfully behind on blog visits so forgive me for not stopping by sooner. I have been helping my daughter at her house on the weekends so I’m scrambling during the week to get things done. Have a good time at the flower and plant show! I bet it would be good with some grilled chicken added to it, too. Yum.